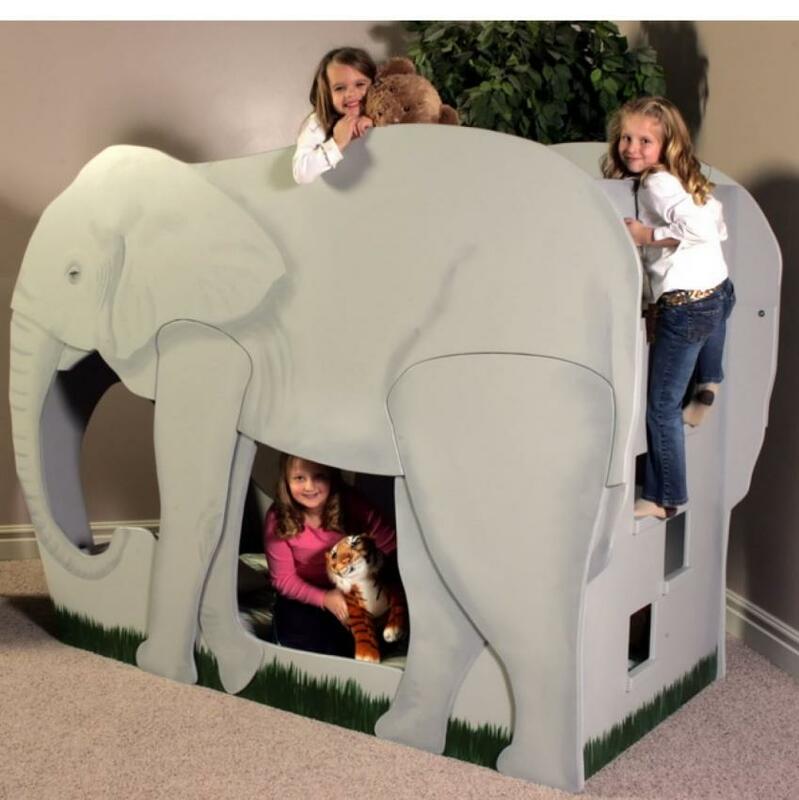 Elephants on Safari Themed Bunk Bed - Get ready for an amazing jungle safari in this elephant shaped bunk bed. It has room for all your wild ones! Enjoy it as a themed bunk bed by adding a twin mattress on top and bottom, or save half the space for playing. 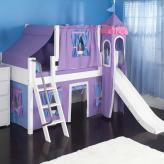 You can have a low bed and play loft or a loft bed with an underbed play area. However you use the space, your kids are in for a great adventure in this jungle safari theme bed. 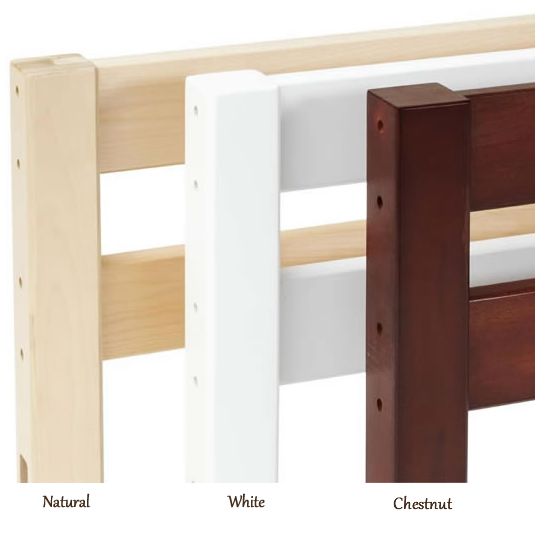 They can access the bunk bed or play loft using the foot holes on the back end of the bed. 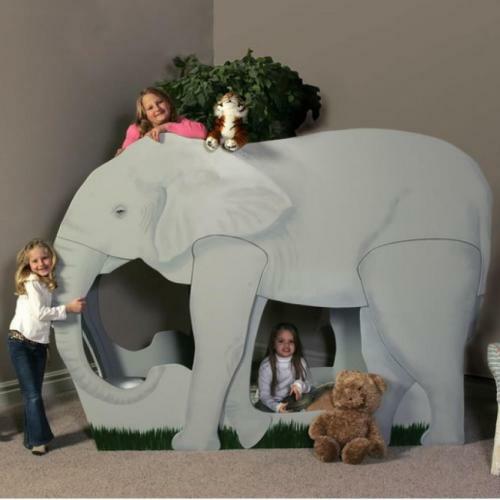 We can even flip-flop this jungle safari theme bed design if you want your elephant facing the other direction. 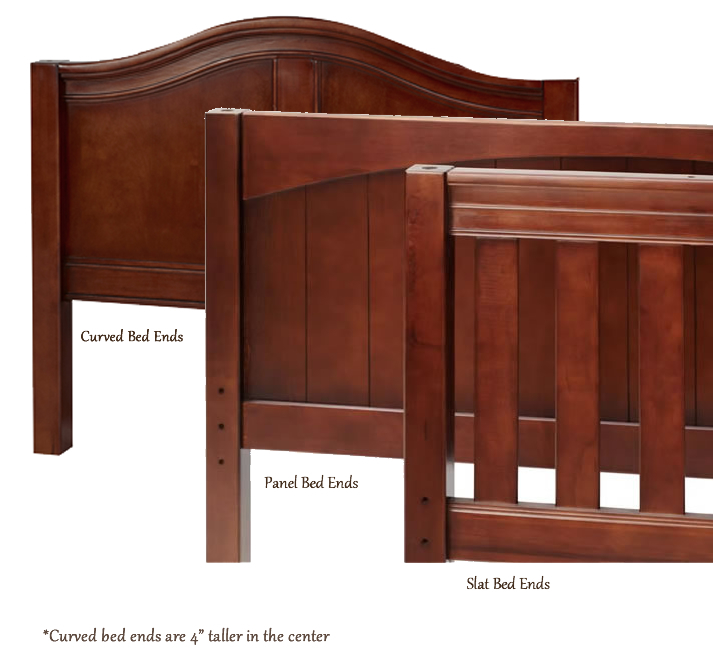 This theme bed is truly a custom creation. 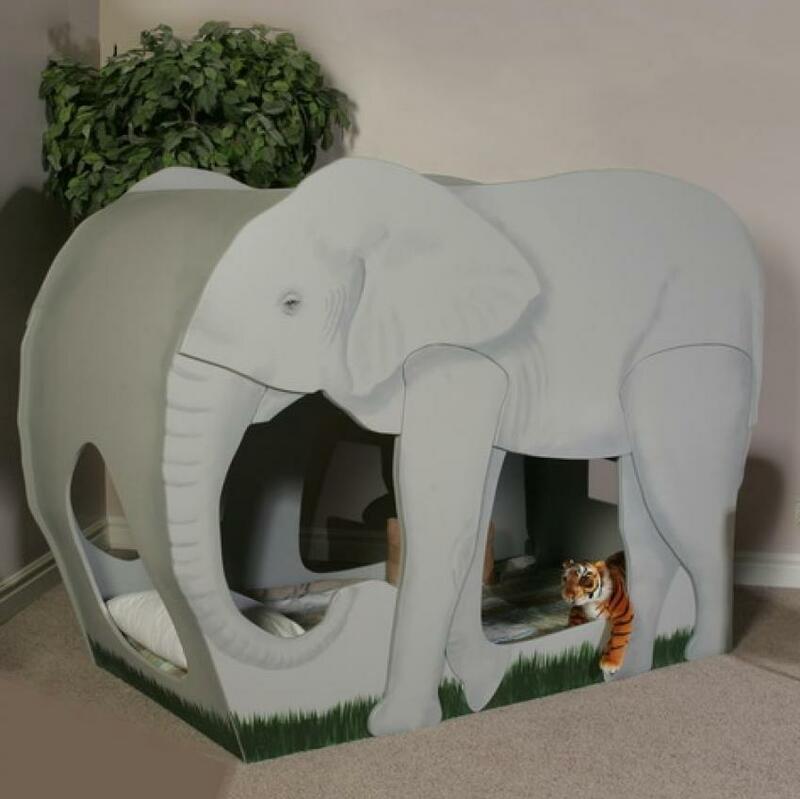 Just let us know what we can do to make it your perfect jungle theme bed.